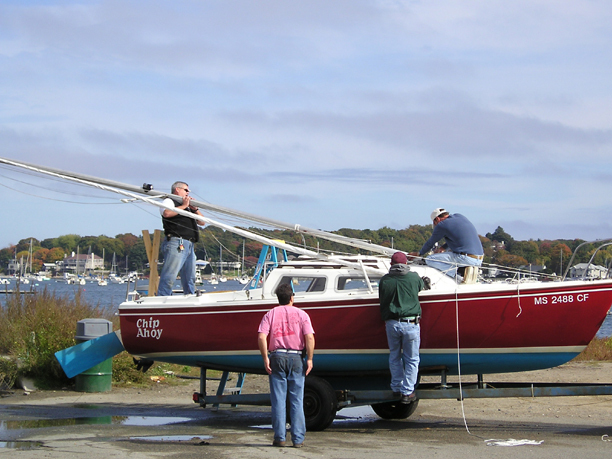 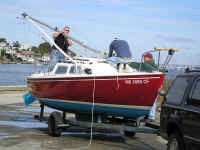 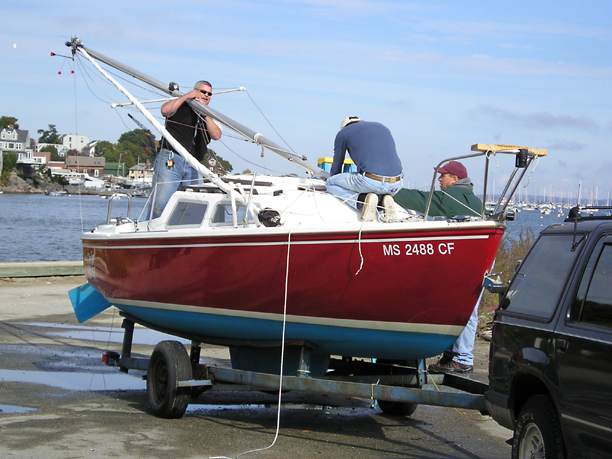 ... while Ted and Gerry held the forestay (roller-furler drum and extrusion with a line attached). 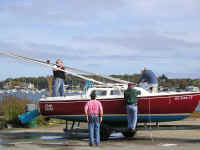 We had one heck of a time removing the bolt through the base of the mast so that we could remove the mast from its plate. 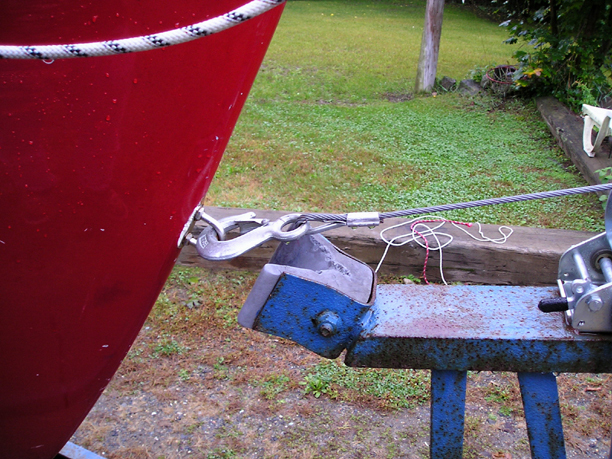 First, the wing nut wouldn't spin; the halyard plate was in the way and we couldn't lift the mast off enough for any clearance. 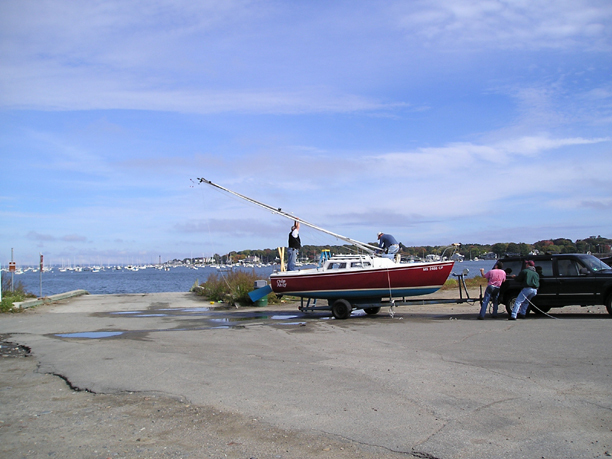 We were finally able to pivot the mast on the bolt and raise its base enough in the mast step's vertically slotted hole to remove the wing nut then lower the mast further. 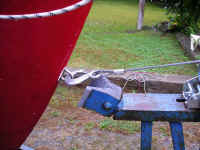 I then had to continue working the bolt out, unscrewing while pulling it outward. 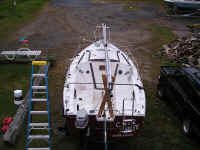 With play in the downed mast I kept working on removing the bolt. 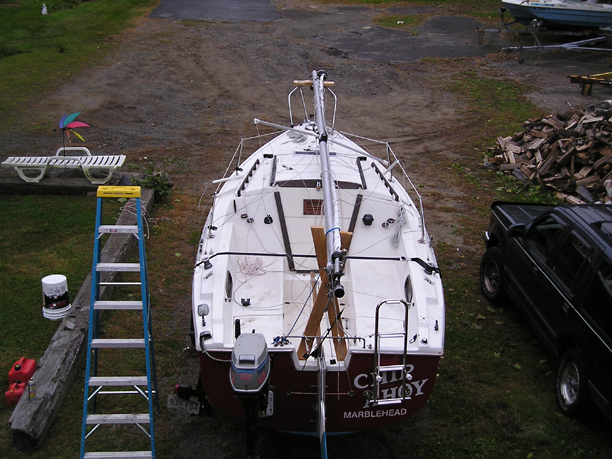 Finally we were able to remove the mast step bolt. 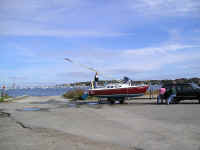 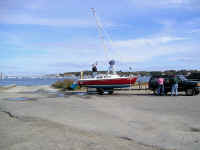 The mast down and stowed for the trip home. 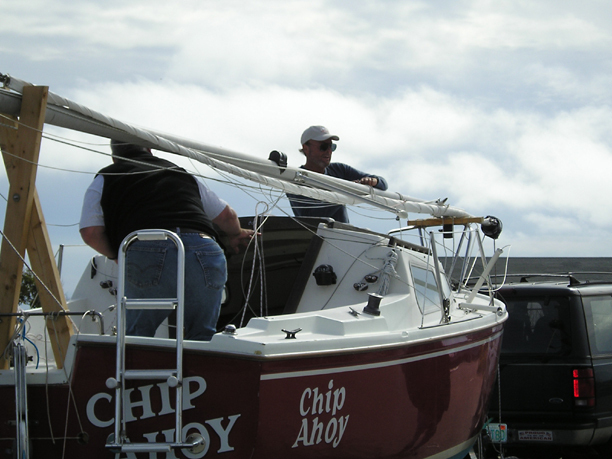 Chip Ahoy, back home for the winter. Now the unpacking and storage begins, before covering Chip Ahoy for the winter! 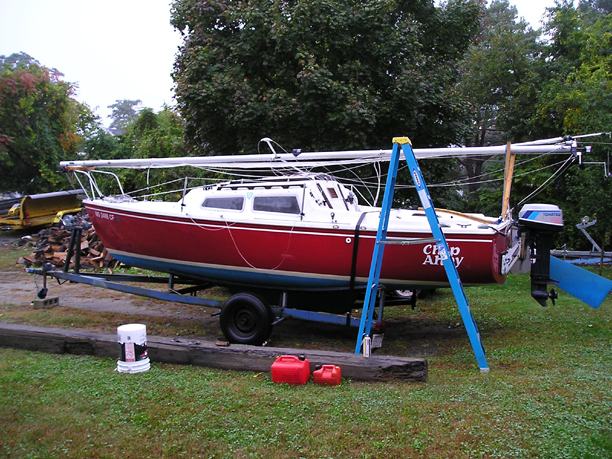 While pulling the boat onto the trailer, we ended up about six inches too short. 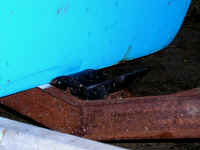 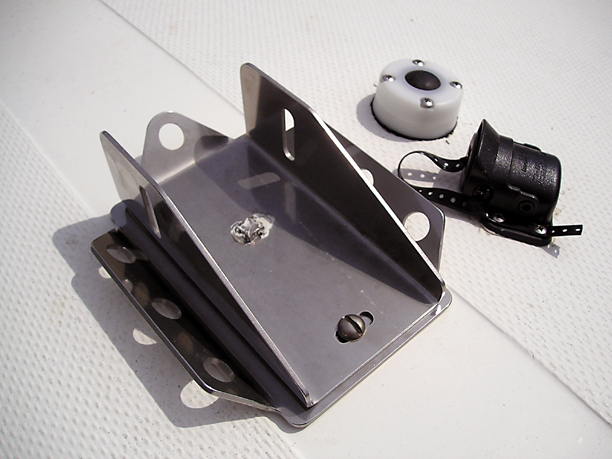 When I unhitched the trailer I found almost no tongue weight because the boat's too far back on the trailer. 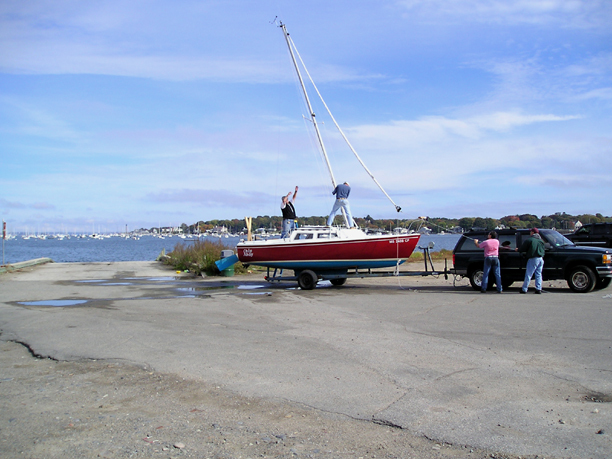 Thank goodness for foresight and jackstands under the back of the trailer! 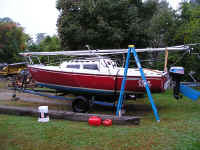 I expect when I remove the outboard motor, gas tanks, tiller and batteries the trailer will sit better for the winter.